AMD has confirmed that High Bandwidth Memory and Fury X production is ramping as expected, limited supply is due to exceedingly high demand. This was revealed during the company’s 2015 Q2 earnings call which concluded earlier today. “Our initial ramp-up has been as expected, we’re pleased with the Fury X ramp-up. Certainly the fact that it’s out of stock is not a bad thing cause it gives us good confidence that the customers are appreciating the product. Fury just launched actually this week and we will be launching Nano in the August timeframe. 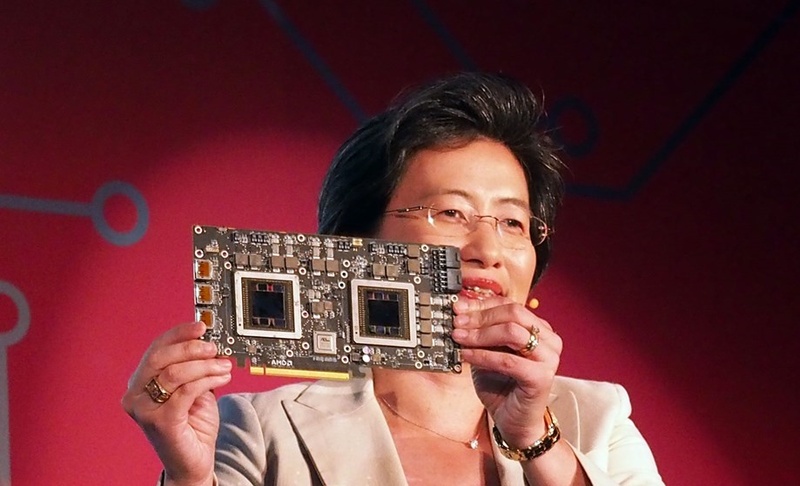 I think overall the High Bandwidth Memory ramp-up is going as expected and we have a number of products coming out.” Said Dr Lisa Su, AMD President and CEO. AMD’s CEO is clearly convinced that the high demand for R9 Fury X cards is a good problem to have and it’s certainly hard to argue with that. After all the company witnessed the other side of that coin first hand last year. When the graphics card supply in the channel exceeded demand and directly impacted the company’s financial performance. In fact it was widely speculated that the channel issue contributed to the delay of AMD’s graphics launches that we saw this summer. On the other hand, limited supply for a prolonged period of time can still prove to be problematic as AMD would attest to. The cryptocurrency boom in early 2014 drained the channel of R9 290X and R9 290 supply and many gamers who wanted to buy these cards found it quite difficult to get their hands on them. It’s cleary however that AMD’s relatively new CEO, Lisa Su, realizes how important it is to keep a healthy balance between supply and demand. She has so far kept a much closer eye on the channel than her predecessor Rory Read. Unlike Read, Su was quick to deal with AMD’s channel problem following the cryptoconcurrency phenomenon very aggressively late last year as soon as she took charge. AMD management is now more intimately familiar with the channel dynamics than it was under Read. It is expected however that the scales would usually tip at every successful product launch towards demand over supply. We’ve seen this exact same scenario before, when Nvidia launched its highly successful GTX 980 and 970 Maxwell graphics cards late last year. The cards very quickly ran out of stock at all major retailers and it took Nvidia several weeks after launch to ensure a sufficient stream of supply. So it’s imperative that AMD keeps a healthy supply in the channel to keep up with the demand. 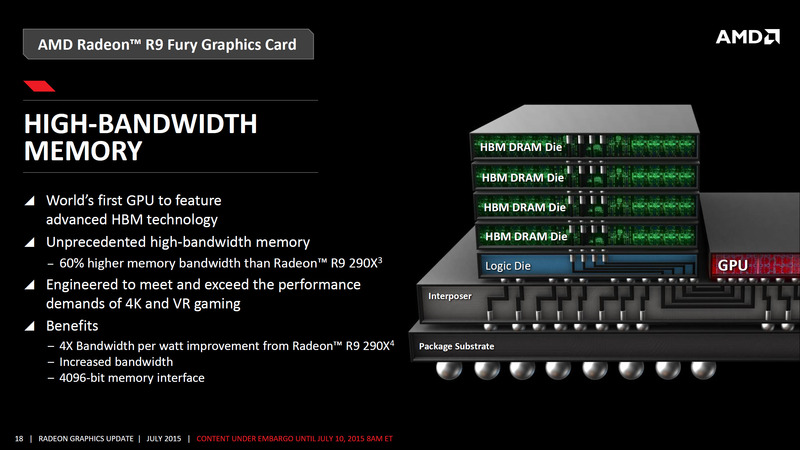 So far AMD has launched two products based on its latest Fiji GPU and stacked memory technology, HBM. The water cooled Radeon flagship dubbed the R9 Fury X and it’s younger air cooled sibling the R9 Fury. 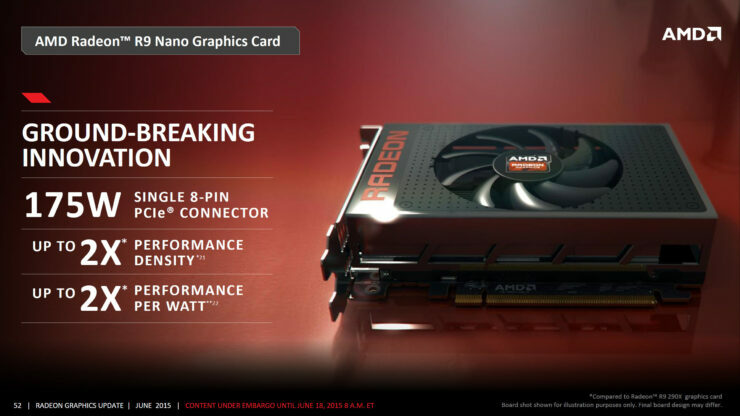 Following these two cards AMD will be introducing perhaps the most interesting addition based on Fiji yet, the R9 Nano. This six inch , mini-itx form factor, card will be the most powerful of its kind and it’s launching next month. 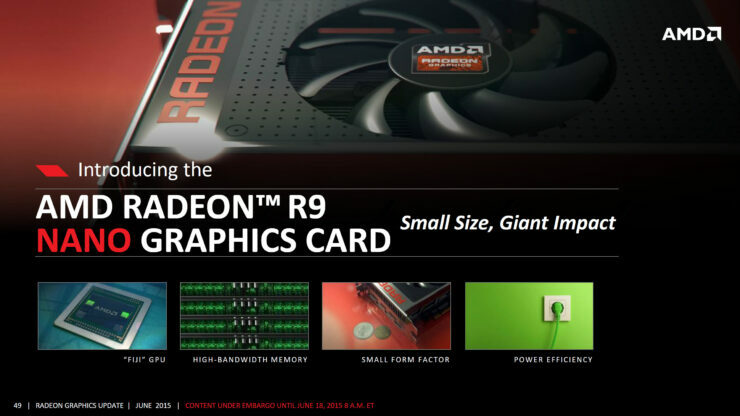 Finally, AMD plans to introduce the GPU flagship graphics card that we saw back in June at E3 to replace the R9 295X2 as the world’s fastest graphics card. 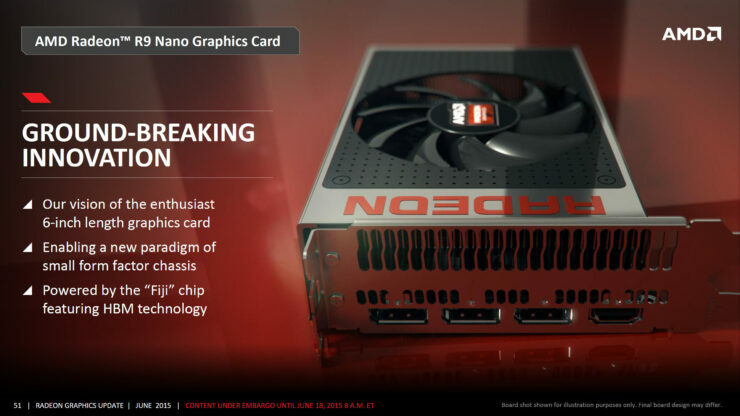 AMD has revealed that this card is coming in the fall, so it will launch right after the Nano. However the company did not announced what it plans to call this new Radeon entrant Until then, the tech community is apparently in unanimous agreement that Fury X2 will have to do in the time being. This 17.2 teraflops monster is actually significantly shorter than a reference R9 290X, all thanks to the area savings enabled by the new graphics memory standard that the company invented, dubbed HBM. With two out of four full fledged high-end HBM based graphics product launches still pending and an entirely new lineup of discrete graphics cards based on a new architecture, HBM2 and FinFET manufacturing coming out next year, it’s clear that AMD’s GPU engineers have their work cut out for them.